Do Incomes Matter to Home Prices? A little dose of reality to put the black in your Black Friday . . .
Home prices have stabilized recently, and even gained in some areas. But this recent price action may face significant headwinds going forward. 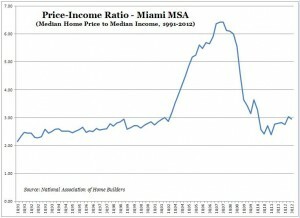 The ratio of median home price to median income in the Miami area has once again reached the highest level on record outside of the housing bubble. The price-income ratio is like the price-earnings ratio of stocks. When it’s historically high, so is risk. And when it’s historically low, that’s usually a good opportunity. The most important factors in the recent bounce in the price-income ratio are probably (1) record-low interest rates that enable buyers to pay more, and (2) continued investment by cash buyers, for whom income is by definition irrelevant. Perhaps these influences will persist, but rates may not fall much further (having fallen very little since the Federal Reserve announced QEternity), and cash buyers seem like slender support for a major metropolitan area’s housing market. Of course, it’s a bit late to time the market. The crash already happened. And with rock-bottom interest rates, you can’t go too wrong in buying that perfect home if it comes along. Just be aware of the possibility of detours along the road to recovery. 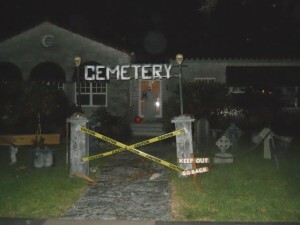 posted by // Comments Off on Do Incomes Matter to Home Prices? 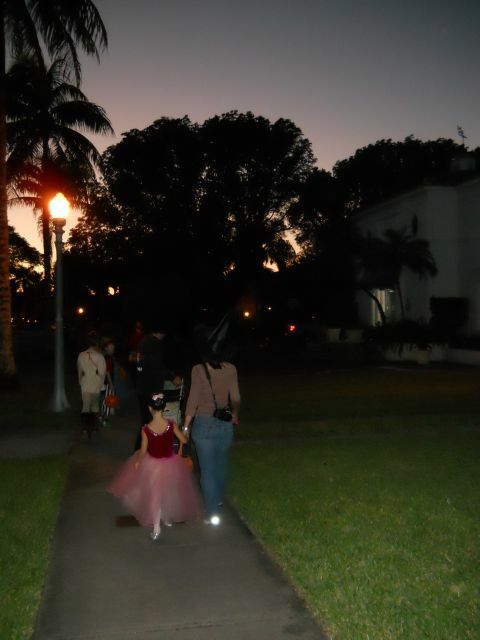 It was a beautiful evening for trick-or-treating in Coral Gables. And plenty of neighbors got into the act.